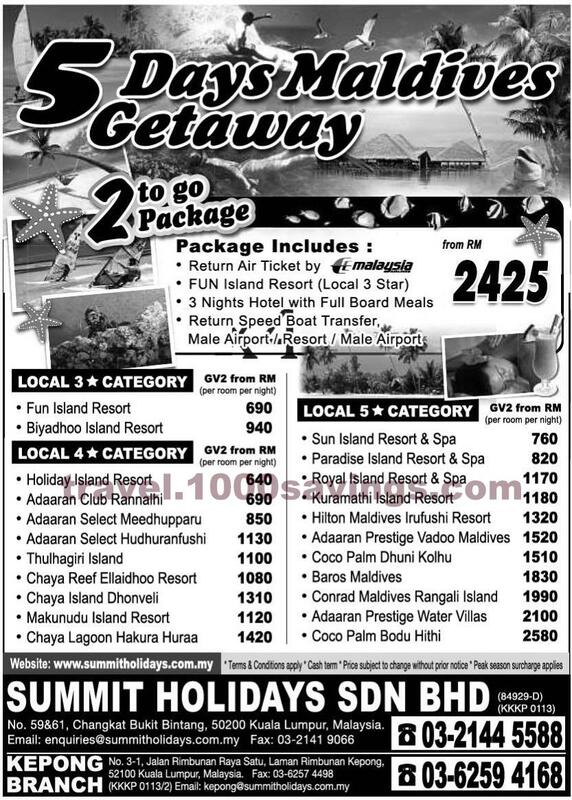 Browse » Home » Maldives » 5 Days Maldives Getaway from RM2,425! 5 Days Maldives Getaway from RM2,425! 5 Days Maldives Getaway from RM2,425 ! 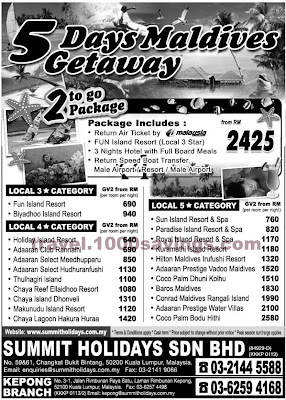 Visit www.summitholidays.com.my for more details.